All people are always welcome in God’s church especially new believers who wish to be welcomed and formally “initiated” into the Catholic faith. 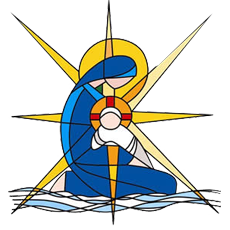 To help people learn more about the Catholic church and prepare to become part of the faith community there is a welcoming program run regularly in the parish called RCIA. We have seen many parents, as their children turn school age, realise they want to enrol them into a Catholic school for the moral and spiritual benefits they were once lucky enough to receive. For many this often comes with a sense of renewed curiousity and wanting to come back to, and or know more about their faith again. For others, they get a sense there is something more to life and they are open to exploring the Catholic faith for them and their children for the first time. Almost 70000 are baptised each year in Australia and over 5000 of these are adults so their are many people on this journey. Much of the focus of the RCIA group program is on sharing stories, new and old, about what has led people to God, as well as uncovering the hidden treasures in the rituals and sacraments of theCatholic faith, in an easy going and welcoming environment. For more information on the program or to read the RCIA Information leaflet click here. Please do not hesitate to call the parish office (02) 4367 4610 if you would like more information.